I take pictures of interesting things I see in buildings. This is one of those things that can get your heart pumping when you walk into a room. 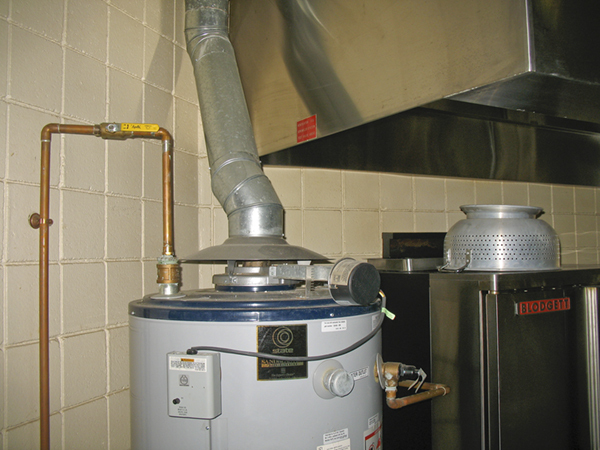 The atmospherically vented water heater butted up against the commercial range hood is back drafting waiting to happen. What's really interesting is that the space it was in is so leaky that it passed the combustion safety test easily. When you enclose a porch for living space you need to heat it right? 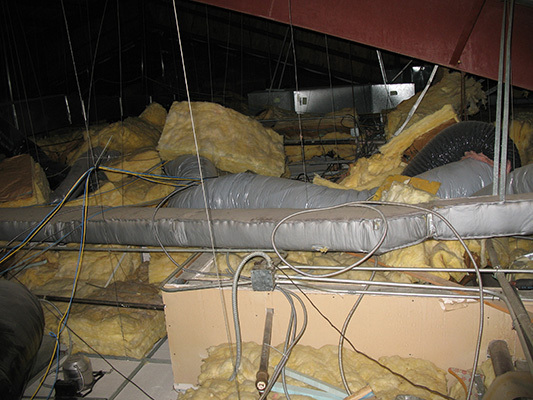 Running a duct outdoors, even with (minimal) insulation is not a very effective way to go. 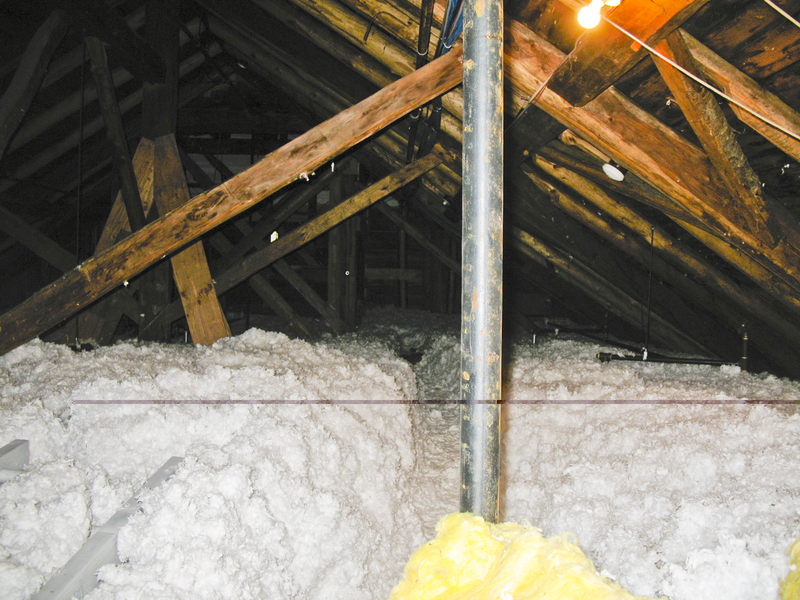 It would have been better to create an insulated and air sealed box around this in addition to the duct insulation. The duct insulation should have been installed properly too. One other thing: Should that floor be insulated? Just asking. 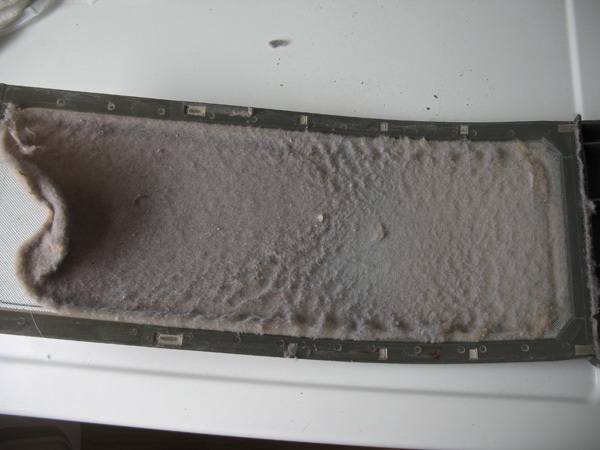 If you let your lint trap get this dirty the clothes will dry slowly, you will waste a lot of energy and the dryer will run hotter; all bad things. 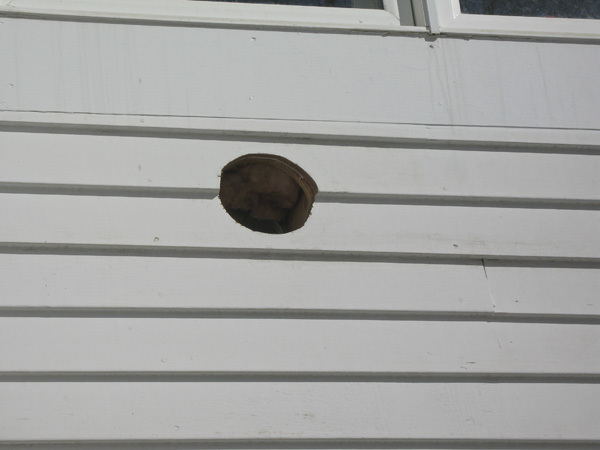 Just a rule of thumb, if you take something out of a hole in the building you should really fix the hole. This had a piece of copy paper taped over the inside. This pretty well defines "Thermal Bypass". 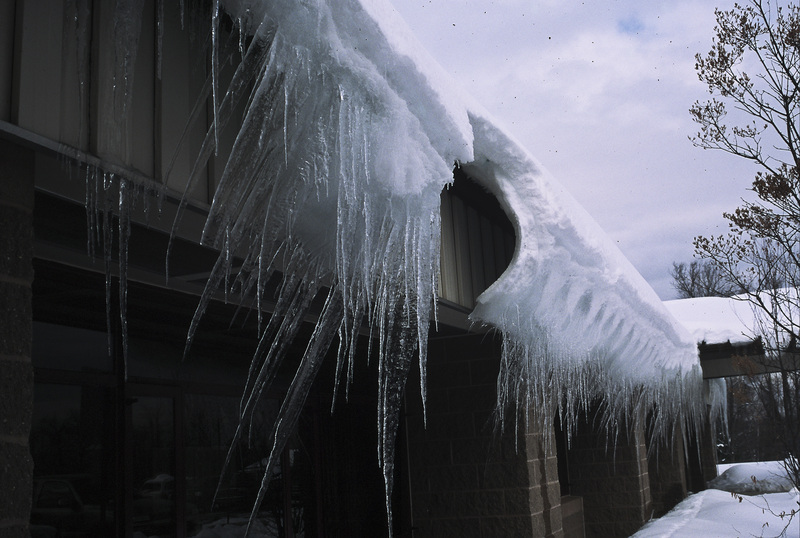 Icicles can be quite beautiful, but they don't belong on buildings. I will not name the person on the ladder, but I did take the picture. 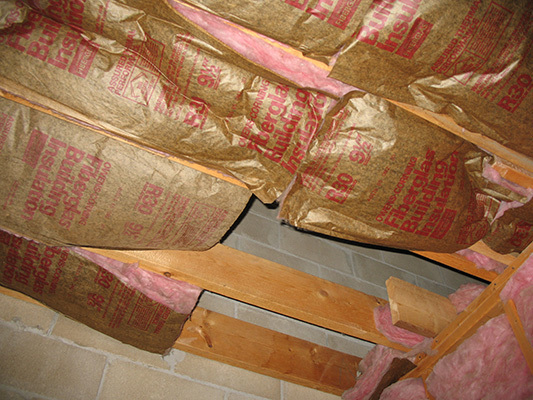 Paying someone to airseal and insulate is SO much better. Insulation this compressed has lost most of it's insulation value. If you have read the old newsletters you will know why this is such a big deal. 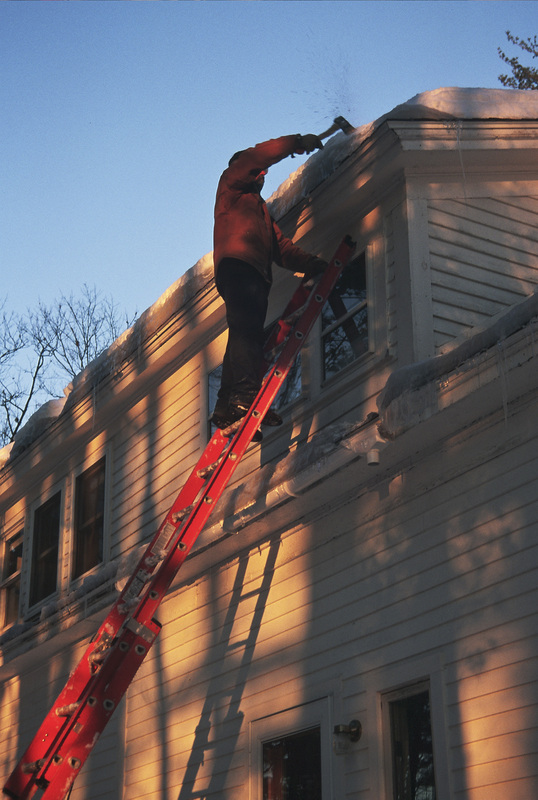 Oh, and the added heat loss could lead to ice dams as well.